When you graduate, it marks the start of a new relationship with Linköping University – as an alumnus or alumna. LiU Alumni help you to stay in contact with LiU. An alumnus (male) or alumna (female) is a former student of an upper secondary school, university college or university. The word comes from the Latin word, alumnus, with the plural alumni. During the 1990s, Swedish universities and university colleges, including Linköping University, started to work more systematically with alumni activities. Contact with LiU’s alumni takes place on several levels. Many sections have alumni activities, while the faculties also work with their own alumni. Finally, the university has a central office, LiU Alumni, where Jessica Peterson from the Communication and Marketing Division is responsible. “Our alumni are a great asset for LiU. They provide feedback about their education and are some of our most important ambassadors,” she says. In order to make it easier to keep in contact with alumni, the university offers membership in the LiU Alumni network free of charge. Anyone who registers with LiU Alumni receives a regular e-mail newsletter and the printed LiU Magazine once a year, informing them about what’s happening at the university. LiU also invites alumni to meetings in Sweden and abroad. 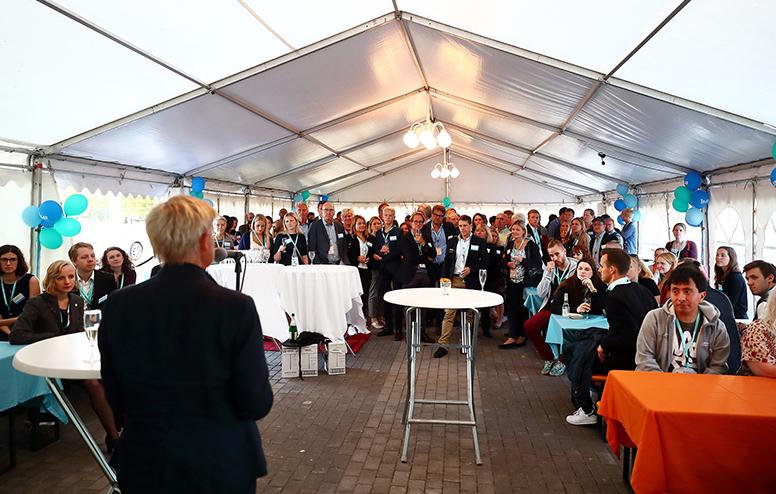 At the beginning of September every year, LiU arranges a social activity for alumni during the Kalas event for everyone who has graduated during the preceding 12 months. The university serves a buffet, and the guests are free to attend the start-of-term concert. Another popular event is attending the student theatrical performance “Spex” together. During the past year, LiU has also been involved with Östgötamorgon, a series of breakfast meetings for alumni in the Stockholm region, organised by the municipalities in Östergötland. “We hold a ceremony in the autumn at which we celebrate two Alumni of the Year – former students who have excelled in one way or another after completing their degree. The ceremony takes place in the daytime at Campus Valla, so it is usually mostly students and employees who attend, but other alumni are, of course, welcome,” says Jessica Peterson. When participating at student recruitment fairs and other events abroad, representatives for Linköping University usually take the opportunity to meet alumni. International alumni meetings have recently taken place in Norway, China, Great Britain, South Korea and Taiwan. Linköping University has approximately 102,000 alumni. More than 24,000 of these have registered with the LiU Alumni network. Most alumni live in Sweden, but there are more than 100 countries with LiU alumni. The highest numbers, after Sweden, are in Germany, France and China. The post of alumni coordinator at LiU was created in 1998. The first alumni database was established in 2000, and this was the year for the first edition of LiU Magazine. Targeted international alumni activities for previous exchange students and master’s students started in 2010.